Are You Up to Par on Golf? Golf is a little more than hitting a ball with a club. 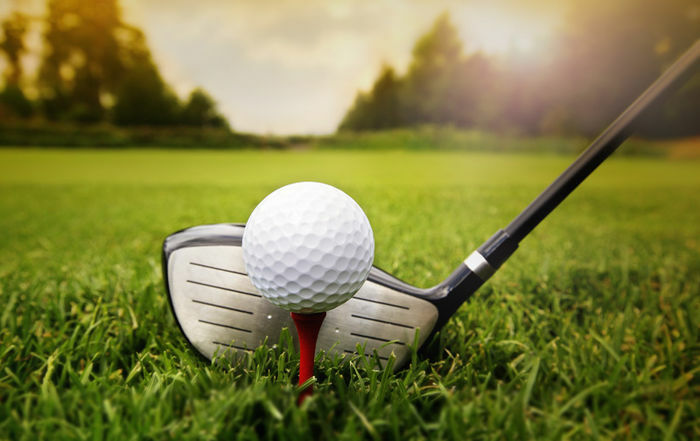 A golf club is made of titanium, has a flat surface on the end and is used to advance a golf ball, rubber covered in hard plastic, towards the hole on the green. A golfer is allowed to have up to 14 clubs in their bag to use. The difference between clubs is their shape and loft. Loft is the angle at which the flat part of the club is positioned. The less loft, the closer to the ground the ball flies when hit. More loft makes the ball go more vertically. This can also result in less distance. For example, a pitching wedge can go from 0-120 yards depending on the skill of the player and it’s loft is around 55 degrees. A driver on the other hand, can be hit from 0-300 yards and it’s loft is around 10 degrees. There are many different clubs that are used in golf, but they can mostly be classified in 4 kinds. First is woods. They tend to hit the ball the farthest and lowest. They can be used both on the fairway and tee box. They have rounder heads than irons and wedges. Examples are drivers and 3 and 5 woods. Irons are the middle club when it comes to loft, distance, and height. They are used on the fairway, rough, and tee box. There tends to be 7 irons in every bag, only identified by their number. Wedges look similar to irons, but have higher lofts and therefore go higher and shorter. They are used more commonly in the rough and fairway but can be used on short holes from the tee box and in sand traps. 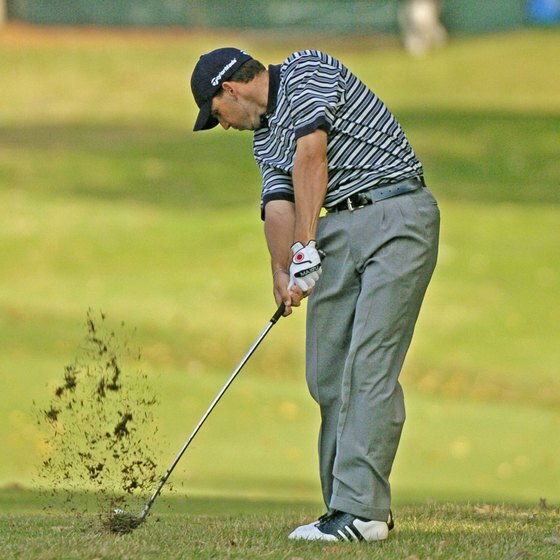 Examples are sand, pitching, and lob wedges. Putters are only used on greens or just off the green and vary in head shape. They have the least distance, height, and loft and are used for more accurate straight-on shots. To play a good game of golf, you need to understand what to do in different parts of a course. Holes can vary a lot in length. 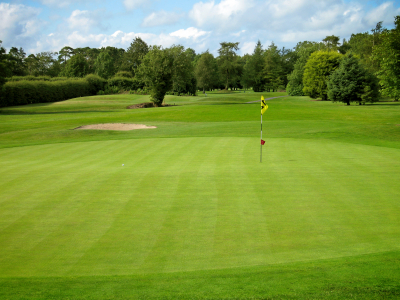 The shortest, around 250 yards, are called three pars. That means a golfer has three shots to get the golf ball in the hole which is on the green without being penalized. Experienced and skilled golfers tend to try to get their ball on the green on the first shot. 4 pars are in the middle, being around 250 to 570 yards. To be in a good position, a golfer wants to be on the green in 2 shots. 5 pars are the longest holes in the game, from 470 to 690 yards. Most pro golfers will use a driver on these holes. Every hole starts at the tee box. This is the only place where a tee, a wood item that a ball is placed on, can be used. Some clubs can only be played with tees like drivers. The next part of the whole, where you wish to land your ball off the tee box is the fairway. It is shaved grass where the ball rolls fairly easily. The green is the last part of the hole. It is grass cut very fine so the ball rolls fast and exact. When putting on the green, every dip and small hill will change where the ball goes. There are also many places on the course where you don’t want to hit the ball. The most costly is out of bounds. Pretty self explanatory, you lose your ball here and costs you an extra shot. Hazards are similar to out of bounds in rules. Basically, you hit your ball awkward and you hear a sploosh as your ball lands in a lake, river, or ocean and you get angry. Traps are less horrible but they’re annoying to escape. They are pits filled with sand which you use irons or wedges to get out of. Roughs are not a serious problem as long as you know what to do. It’s basically just an area of grass on the outside of the fairway that is thicker. Well, that’s the basics of golf. If it sounds interesting, there are professional leagues of golf, most famously the PGA or WPGA, that are broadcasted on TV. There is also a few golf courses within 45 minutes drive of Dana Middle School such as Harbor Park Golf Course (near Harbor College) where you can learn and practice the game. Thank you! Haters were hating on my title.